An economic system is a means by which governments organize and distribute available resources, services, and goods across a geographic region or country. Economic systems regulate factors of production, including capital, laborLabor MarketThe labor market is the place where the supply and the demand for jobs meet, with the workers or labor providing the services that the employers demand. The, physical resources, and entrepreneursEntrepreneurAn entrepreneur is a person who starts, designs, launches, and runs a new business. Instead of being an employee with a 9-5 job and reports to a supervisor. An economic system encompasses many institutions, agencies, entities, patterns, as well as decision-making procedures. There are many economies around the world. Each comes with a distinguishing characteristic, although they all share some basic features. Each of the economies functions based on a unique set of conditions and assumptions. 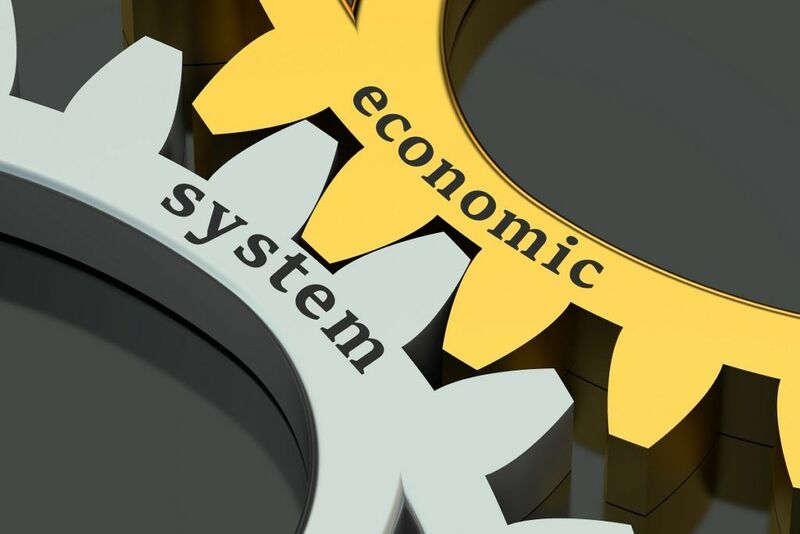 Thus, economic systems can be categorized into four main types: traditional economies, command economies, mixed economies, and market economies. The traditional economic system is based on goods, services, and work, all of which follow certain established trends. It relies a lot on people, and there is very little division of labor or specialization. In essence, the traditional economy is very basic and most ancient of all four types. Some parts of the world still run a traditional economic system. Particularly, rural settings in second- and third-world nations, where economic activities are predominantly farming or other traditional income-generating activities. There are very little resources to share in communities with traditional economic systems. The reason is the resources don’t occur naturally or access is restricted by other influential systems. Thus, the traditional system lacks the potential to generate a surplusConsumer SurplusConsumer surplus, also known as buyer’s surplus, is the economic measure of a customer’s benefit. It is calculated by analyzing the difference between the, as is the case with other systems. Nevertheless, because of its primitive nature, the traditional economic system is highly sustainable. In addition, due to its small output, there is very little wastage compared to the other three systems. In the command economic system, there is a dominant and centralized authority, which is usually the government, which controls a significant portion of the economic structure. Also known as the planned economic system, the command economic system is common in communist societies since production decisions are a preserve of the government. If an economy enjoys access to many resources, the chances are that it will lean towards a command economic structure. In such a case, the government comes in and exercises control over the resources. Ideally, centralized control covers valuable resources such as gold or oil. The people regulate other less important sectors of the economy such as agriculture. In theory, the command system works really well as long as the central authority exercises control with the general population’s best interest in mind. However, command economies face many challenges, and they are slightly rigid compared to other systems. That is, they react slowly to change because power is centralized. Market economic systems are based on the concept of free markets. In other words, there is very little government interference. The government exercises no control or say over resources, and it does not interfere with important segments of the economy. Instead, regulation comes from the people and the relationship between supply and demandSupply and DemandThe laws of supply and demand are microeconomic concepts that state that in efficient markets, the quantity supplied of a good and quantity demanded of that. The market economic system is mostly theoretical. That is to say, a pure market system doesn’t really exist. Why? Well, all economic systems are subject to some kind of interference from a central authority. For instance, most governments enact laws that regulate fair trade and monopoliesNatural MonopolyA natural monopoly is a market where a single seller can provide the output because of its size. A natural monopolist can produce the entire output for the. From a theoretical point of view, a market economy facilitates substantial growth. Arguably, growth is highest under a market economic system, and the economy exists separately, away from any form of government interference. However, its greatest downside is that it allows private entities to amass a lot of economic power, particularly those that own resources of great value. Thus, the distribution of resources is not equitable because a select few enjoy most of them, while a huge part of the remaining population fight for the little that is left. Mixed systems combine the characteristics of the market and command economic systems. For this reason, mixed systems are also known as dual economic systems. While there is no straightforward way to define a mixed system, sometimes the term describes a market system under strict regulatory control in certain segments of the economy. Many countries in the west follow a mixed system. Most industries are private, while the rest, comprising of public services, is under the control of the government. Thus, the government and the private sector serve a significant role in maintaining a mixed economy. Mixed systems are the norm globally. Supposedly, a mixed system combines the best features of market and command systems. However, practically speaking, it’s been challenging. Some governments exert much more control than is necessary. Economic systems are grouped into traditional, command, market, and mixed systems. Traditional systems focus more on goods, services, and work, and they are influenced by traditions and beliefs. A centralized authority influences command systems while a market system is under the control of forces of demand and supply. Lastly, mixed economies are a combination of command and market systems. AutarkyAutarkyAutarky is the term used to describe a country or economy that operates independently. Autarky, in its most basic sense, means "self-sufficient".